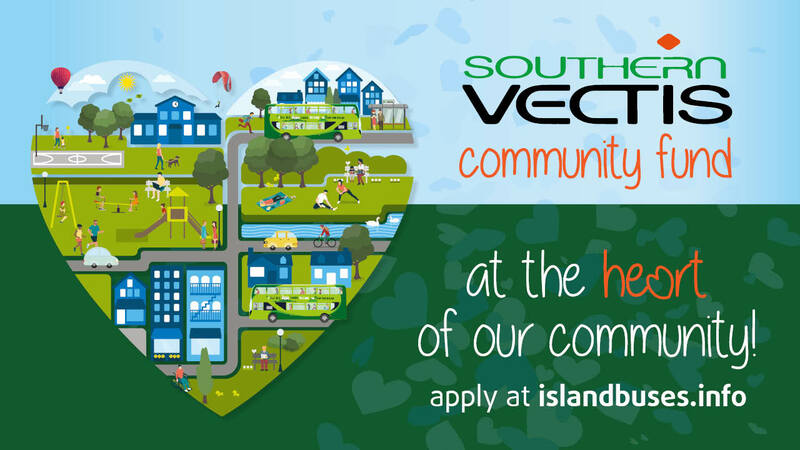 At Southern Vectis, we’re proud to support our local community. Together we are a small but strong Island community doing big things, and as a company we understand that to make things happen, local groups and charities need our support. As well as providing good quality bus services across the Isle of Wight to our communities needs, Every year we’ve been quietly donating buses, money, travel and resource to those who need it, to help keep the Island a well connected, supportive and inclusive place to live for all – particularly for vulnerable people and families, local children and the elderly. We’re also keen supporters of local events that make our Island a unique and vibrant place to live, bringing the community together. To make this funding and support fairer and available to groups who have not yet benefited from our support, we’re very pleased to be launching the Southern Vectis Community Fund in May 2019. Our Community Fund is a dedicated resource for supporting local causes, charities and organisations, whether it is monetary support, marketing help, free travel or the use of a bus for an event required. The Community Fund is open for application for everyone, whether you’re a charity, a sports team, a school or one of the local events that makes our city a vibrant place to live. We encourage anyone who needs a helping hand, however big or small, to apply. The Community Fund is open for application all year round, with Bluestar funding and support donated during two months of the year – January and July. Please bear this in mind when applying. For each of the these months we have £500 to donate to one or many worthy causes, as well as support in kind. Community Funding will be allocated to worthy cause by an impartial board from the wider Go South Coast team. Successful applicants will be contacted, while those not successful this time encouraged to apply for the next set of funding available. The Community Fund is a Go South Coast initiative, with all six bus operators opening applications in 2019. Apply for our May 2019 Community Funding now. Tell us who you are, about your cause, what you need from Southern Vectis and the difference this support would make to your cause or organisation. Whether your request is for a raffle prize or a new sports team kit, our board will take all serious applications into consideration. Please go into as much detail as you can about your cause and how Bluestar can help to make a difference. We hope that the Community Fund application process will offer a fairer support process and see new individuals and groups coming forward who may not have wanted to ask for help previously. Our next pot of Community Funding is available in May 2019 – so get your applications in today.